The assignment was to create a sustainability meme. 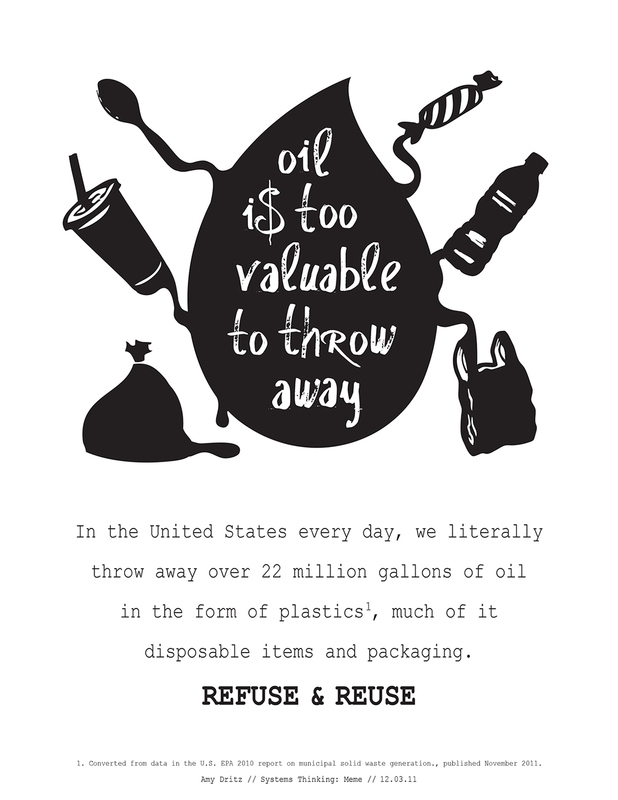 This poster creates a memorable graphic and statement to connect the true value of oil with our "disposable plastic economy" and unsustainable habits. It then suggests the reader has the choice to refuse and reuse their plastic items.